This week, our youngest son is out in Salt Lake City, Utah. He is performing in the National High School Honors Choir. To say that I am proud of Tim and his accomplishment is an understatement. Right now, I am wishing that I were there to hear the concert and marvel at the achievement. That was just not in the cards. He has had, best as I can tell from messages and quick phone calls, an amazing, once-in-a-lifetime experience. I absolutely CANNOT wait until he comes home so I can hear all about it in person. He was selected from approximately 4,000 high school choral students to be a part of the 300 person national high school honors choir for the American Choral Director’s Association (ACDA). The group is performing this afternoon as a group and then will perform this evening in a mass choir with the Mormon Tabernacle Choir. He is one of three students from his high school and one of the five from the state of Vermont chosen following the auditioning process. It is quite an honor. We are very proud of him. We at our high school are blessed to have an amazing, dedicated choral teacher who goes above and beyond with our children. She sees their potential and helps them achieve things that they would never have even attempted without her guidance. We are grateful for all her time and effort, particularly since this week, she spent her birthday away from her own children to be with ours. Here is the article that appeared in the local newspaper about the students and their experience. From the Herald – NORTH CLARENDON — When the lights go up, the silence of anticipation will be broken by the thundering sound of 300 voices filling the air with song. And three of those 300 voices will belong to Mill River Union High School seniors. 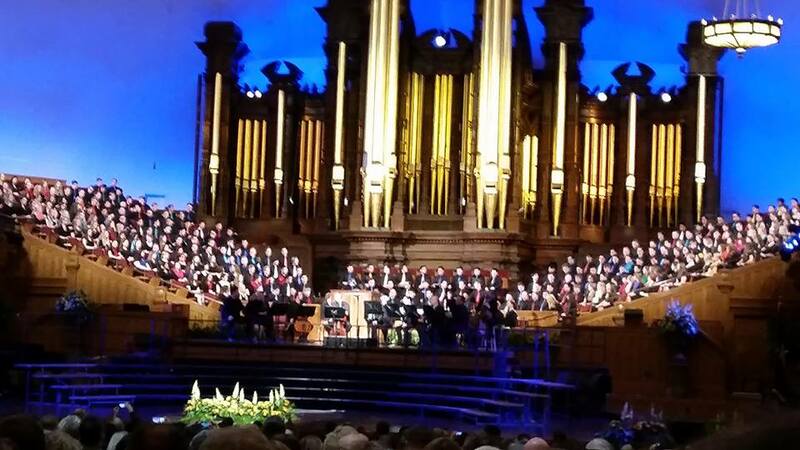 The students — Tim Heffernan, Katherine Bullock and Christian Brand — make up a tiny fraction of the nearly 4,000 students who auditioned for the 2015 National American Choral Directors’ Association Honor Choirs in Salt Lake City, Utah. This weekend, the trio will spend several days rehearsing with the most talented vocal artists in the nation, and finish off the weekend with three performances. Roughly 6,000 people will be in attendance at those performances. “It’s amazing and completely overwhelming to think of that many people listening to us sing,” said Brand. Kristin Cimonetti, vocal teacher at the school, said this event is the highest honor of its kind that a high school student can achieve. Each student who auditioned had to use the same piece of music and record it electronically. Each recording was then put under the audio microscope by a panel of judges who made decisions of elimination, whittling the 4,000 audition recordings down to a mere 300. The blip of music was only about 40 seconds long, but the students rerecorded for hours, trying to get the perfect clip. Cimonetti was the one who listened with great detail to each of their recordings and ultimately made the final decision on which one to send to the judges. The recordings were sent in November, but the students didn’t learn the results until a couple of months later. 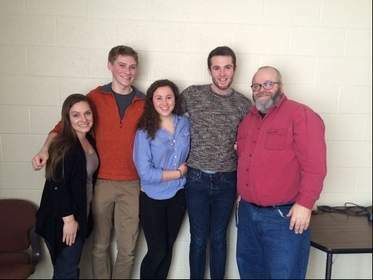 “It was like waiting to hear from college applications, but worse,” said Heffernan, laughing. Each said that when they did get their results back, the feeling was unreal. “I saw the email on my phone and I just couldn’t believe it. I didn’t know if I trusted such good news,” said Brand, who read the email while walking down the street. The shock of it all caused him to abruptly stop walking, causing what he called a backup of foot traffic behind him. “I was certain it was a trick,” he said. But as the initial shock wore off, the students realized they had some serious work ahead of them. They were each mailed a series of songs they needed to learn for the performances. And they needed to learn them by heart. Just because they had gotten into the choir didn’t mean they were out of the hot seat. At the first rehearsal in Salt Lake, judges will walk through the rows of students, listening intently as they sing, eliminating anyone who doesn’t sound up to par. But each of the Mill River students have been dedicated to practicing in preparation for the event. While the three students said they feel a sense of pride, they all know they could not haven accomplished any of this without the help of Cimonetti. But Cimonetti modestly shook off the compliment, saying the students were the ones bursting with talent. “I really do think we will all be changed after this performance,” said Heffernan.